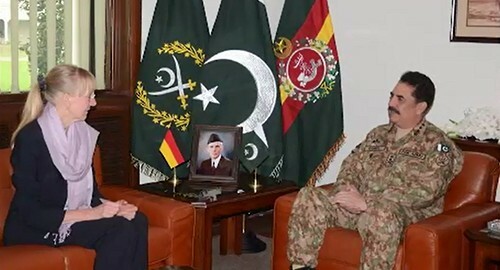 ISLAMABAD (92 News) – German Ambassador Ina Lepal called on Chief of Army Staff General Raheel Sharif on Thursday. During the meeting, matters of mutual interest, including defence cooperation came under discussion. The ambassador appreciated Pakistan Army’s achievements and sacrifices for peace and stability in the region.